The penalty point system was extended to all drivers on Friday after having previously applied only to those who recently obtained their licence. In all, there are 29 contraventions, for which penalty points will be imposed on a driving licence. When will I lose my licence? Drivers may lose their licence for two months if they accumulate 12 penalty points over a period of 12 months. If the licence is revoked twice in the space of three years, the driver must sit for a fresh driving test before receiving the licence back. If it is revoked three times in five years, the driver can only sit for the test after a year of not driving, increasing to a suspension of two years for those whose licence is revoked four times in seven years. Will losing points replace fines? No. The aim of the new system is to penalise drivers whose driving puts other people’s lives in danger. The penalty points are over and above the monetary fines. 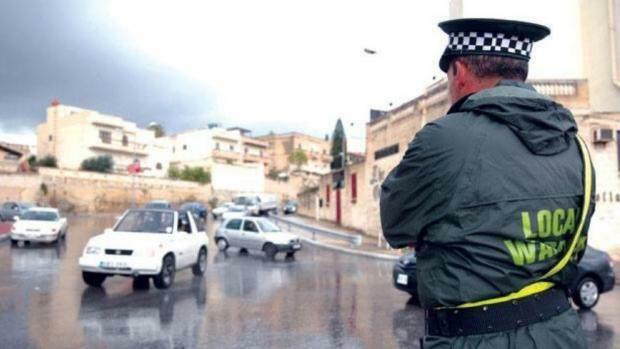 WATCH: Is this Malta's most dangerous driver? What will lose me points? Drivers will lose two points if their car has defective brakes, tyres or steering wheel, or is deemed to be likely to cause any danger. Failure to stop at an accident will see drivers penalised by between five and 10 points. Drivers using a mobile phone while driving or wearing headphones will be penalised between three and six points. Dangerous or negligent driving, killing someone while driving or causing death by dangerous driving could see the driver being deprived of the entire allowance of 12 points, which will lead to the immediate revocation of the driving licence. Driving under the influence of alcohol or drugs and refusing to submit a specimen for testing may see drivers penalised by between three and 11 points. Failure to wear a seat belt or driving a car emitting ‘loud electronic sound’ may lead to a three-point penalisation. Running a red light, contravening a stop sign, failing to comply with double white lines and with directional signs which prohibit certain types of manoeuvres could cost a driver between three and five points. Driving a car which is uninsured against third party risks will see the driver penalised by between six and eight points. Overspeeding will also cost drivers between three and six points. When a driver has accumulated nine points and is approaching the 12-point mark they will be notified by a letter. Who has the power to dock points? The original list included a three-point penalisation if drivers fail to obey instructions of a police constable or a warden but this was removed in the final version. Penalty points shall be imposed by the Court of Magistrates or by the Commissioners for Justice. If fines are uncontested and paid immediately, before the case is heard by the tribunal, the minimum amount of points will be deducted. Is there any way to reduce my points penalty? Any holder of a driving licence may have the number of penalty points halved if he or she follows an ‘electronic safety awareness course’ and passes a test prepared by TM for this purpose. A person may only take this course once every two years.